Wake Aviation’s management team and principles have positioned us to grow rapidly and gain global market share throughout the industry. Wake Aviation has laid the foundation for significant future growth by maintaining a well-recognized reputation for superior performance along with significantly high levels of expertise and experience. Furthermore, the current inadequate global electrical grid and the lack of access to new and renewable energy in remote areas coupled with nonexistent industry competitors and scarcity of experienced management talent, create a tremendous opportunity for Wake Aviation to generate extraordinary outcomes in the utility aviation environment. At Wake Aviation our staff has been challenged and trained under the most extreme scenarios. The Wake Aviation management philosophy requires that we identify and retain the top industry leading management and supervision personnel regardless of workload fluctuations year to year. Wake Aviation is dedicated to providing the most robust combination of top tier project level talent available. Jake Harmon is co-founder and CEO of Wake Aviation. Mr. Harmon began his aviation career as a high altitude helicopter flight instructor in the Denver metropolitan area in Colorado, USA. Mr. Harmon has a varied and widespread knowledge of advanced aviation operations and has taken several venture projects in the aviation field to highly profitable and successful outcomes. Mr. Harmon has also commanded aircraft in various sectors of the industry and has been able to demonstrate and refine his flying and customer service skills with crew resource management, conflict resolution exercises, and operations in advanced day and night helicopter operations. Mr. Harmon has flown professionally for thousands of hours in various roles, throughout the United States, with drastically different weather environments making his skills as a professional and well-rounded pilot and instructor invaluable to Wake Aviation. Mr. Harmon brings to the table his extensive experience in the high altitude flying environment as well as his excellent interpersonal, networking, and customer service skills. Mr. Harmon has served in a variety of management rolls at several aviation companies as well as in other companies outside the aviation arena. Mr. Harmon has an impressive and well-rounded career as an entrepreneur and professional pilot and maintains other skills and expertise in the areas of aviation, management, sales, and customer service that have contributed to the success and growth of Wake Aviation. Wayne Temple is co-founder and COO of Wake Aviation. Mr. Temple has been in the power and electric industry for 24 years. After starting his apprenticeship in 1990 for Lineman, he earned his Journeyman card from the International Brotherhood of Electrical Workers. Mr. Temple is currently the acting COO of Wake Aviation. He takes a solid, hands on approach to his work and Mr. Temple’s steadfast dedication to his customers, employees, and his word is what is reflected in the way Wake Aviation runs all their operations. He is committed to total success in all his endeavors. Mr. Temple has worked for many of the top-tier energy companies in the United States such as Southern California Edison and Florida Power & Light. Mr. Temple worked at FP&L as a foreman with construction crews and also worked for FP&L Training and Method Center where he trained the next generation of Linemen as an advanced instructor. Mr. Temple sat is a member of numerous safety committees and has earned many awards such as the Stars of Distribution for customer service, as well as the CEO award that is only presented to the finest professionals once a year. 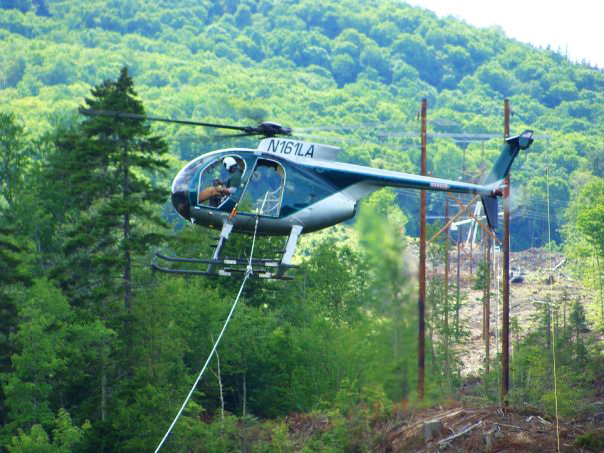 While employed at a leading airborne powerline contractor in the United States, Mr. Temple quickly advanced from Lineman to Foreman to Superintendent to Director of Operations of the Line Department in record time. In his tenure there Mr. Temple earned his pilot certificates in helicopters and became one of only three Journeyman Lineman/Wire pilots in the country. Of those three men, Mr. Temple is the only one still active in the industry, which makes him an invaluable asset to the success and growth of Wake Aviation and literally one-of-a-kind in knowledge base and understanding. Erik Mereno, is President of Project Management. He is a highly motivated leader who has constantly sought after opportunities where challenges and the organizational environment align with his strengths and special talents. Wake Aviation has been able to integrate Mr. Mereno and his specific expertise as a strong, dependable performer who is highly effective at building mutually beneficial partnerships and networks. Mr. Mereno has a rich 17-year management history at Southern California Edison (SCE), one of the largest and most respected power companies in the world. As a man of integrity, he brings a broad level of experience, education, strong work ethic, and a set of fully transferable job skills to our organization that has been a strong contributor to our success. Mr. Mereno has served in countless leadership roles in the industry on numerous major projects. Like Mr. Temple, Mr. Mereno takes a hands-on approach to managing. This style, along with his varied and comprehensive background in the industry, has earned him the great respect of his subordinates and peers alike.